We get our prices directly from Rock Ridge. 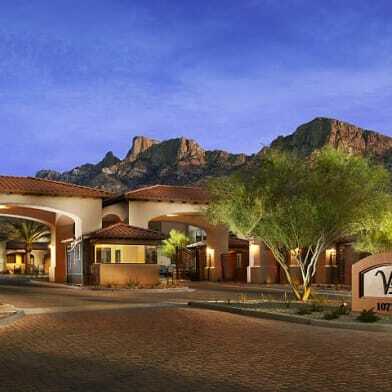 Rock Ridge is located at 10333 North Oracle Road Oro Valley, AZ and is managed by MEB Management Services, a reputable property management company with verified listings on RENTCafe. 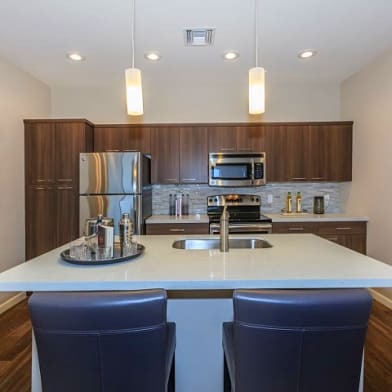 Rock Ridge offers 1 to 3 bedroom apartments ranging in size from 780 to 1275 sq.ft. 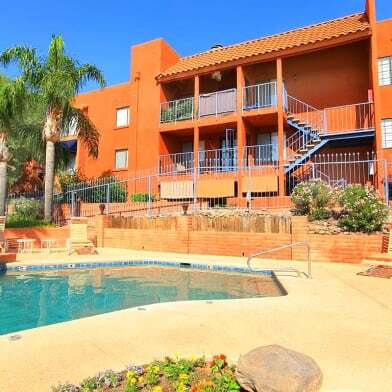 Amenities include Business Center, Covered Parking, Fitness Center, Playground, Pool and more. This rental community is pet friendly, welcoming both cats and dogs. Property is located in the 85737 ZIP code. Pet restrictions: Breed restriction policy is Pit Bulldog, Chow, Rottwieller, Doberman, German Shepard, Mastiff, Staffordshire Terriers, or any mix of these dogs. No Reptiles, Rabbits, Hamsters, Ferrets, Snakes or Rodents of any kind will be allowed. Parking Details: Covered lot. Carport parking available as an add-on. Have a question for Rock Ridge?